The original urban cottage had seen better days, but Lissa and John could invisage the potential and saw the character through the weathered façade. They bought the house with the intention on bringing it back to life and turning it into their family home. 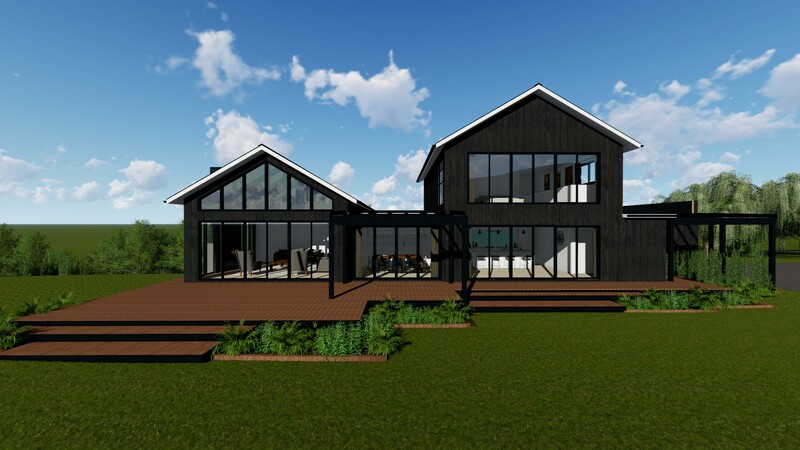 The intention was to keep the cottage style with board and batten cladding, high ceilings and exposed feature trusses. The design was to lead you from the entry through the spaces to the formal living area at the end, with large glass openings to take advantage of the open country lifestyle. They also needed a separate garage/sleepout which needed to compliment the main house and be in keeping with its style and character without taking away from the feature which is the main house. Lissa and John were envolved throughout the process and have made every aspect of the design their own. Their excitement and energy throughout the project was inspiring and made it a great project to be involved in.